Brunswick is opening its fifth US office in Chicago, led by New York partner Jayne Rosefield with Edelman alumnus Christopher Hannegan. Brunswick's permanent office in the US's third-largest city will open in May; a small number of staff are already working from a temporary space. The agency will serve existing clients and seek new business in the area. Rosefield, who will spearhead the new base, joined the firm in New York in 2005 from JP Morgan. She has worked on M&A deals including brewer AB InBev's acquisition of SABmiller, Kraft's acquisition and integration of Cadbury's, and Burger King's purchase of Tim Hortons, as well as with PepsiCo, Unilever and Dairy Crest. Rosefield will be joined by Hannegan, who joined in October from Edelman to lead the firm's global employee engagement offering. He has spent most of his career in Chicago. Katie Fitzgerald, a director in the employee engagement team who joined from FTI Consulting in January, will also work with Hannegan. 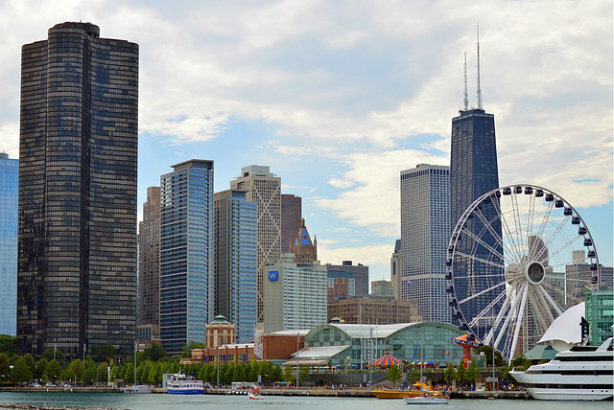 A number of other staff from both UK and US offices will move to Chicago in due course. Global CEO Susan Gilchrist said: "With so many of the world's great companies based in the Midwest, we wanted to have a strong presence here, too, supporting our clients on their biggest issues." The firm's other US bases are in Dallas, San Francisco, Washington, DC and New York, which is its largest office in the country. Brunswick now has a little more than 1,000 staff across its 23 global offices, of whom just over 300 are US-based. Of the firm's 155 partners, 44 are in the US. The firm ranked as the 12th largest PR firm globally in the PRWeek Global Agency Business Report 2016, with global revenues of $100m (£80m). It was listed the largest London-headquartered agency, and also ranked as the UK's second biggest agency. It has the world's largest M&A advisory practice.